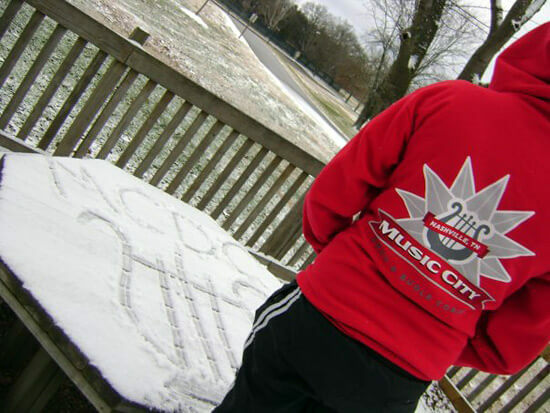 Music City's Emily Hall submitted this photo and caption. This winter, Tennessee got more snow than usual. I was home for break and grabbed one of my Music City Drum Corps friends to go play in it. We played in the park for awhile then warmed up in Starbucks chatting away about the season to come. Pictured is Lana Tingle, MCDC Bass '09 & '10.